How Can I Recover Deleted MMS from iPhone? First, let's brief explain what MMS is. Short for Multimedia Messageing Service, MMS is actually a type of text messaging, evolved from SMS (Short Messaging Service, also known as a text message). You can use it to send a message that may contain photos, videos, audio files to other mobile device. Now most iPhones support MMS capability. However, accidents always happen. You may lose the important MMS messages because of mistaken deletion, iOS system corruption, device stuck on Apple logo, etc. How can you get lost or deleted MMS back? Don't be frustrated. Just keep on reading and you'll know how to retrieve deleted MMS from iPhone with the help of a professional iOS data recovery utility. 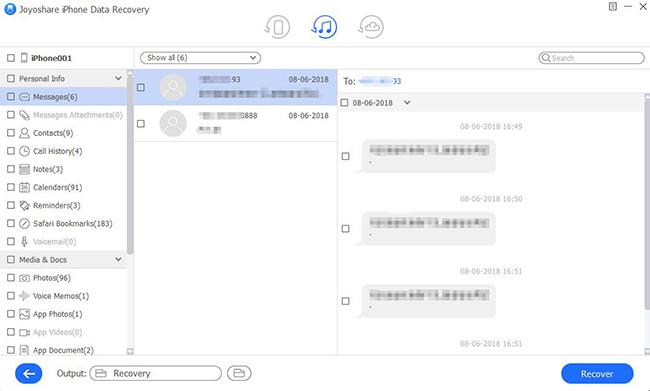 To restore MMS from iPhone, what you need is a powerful and trustworthy data recovery tool, and Joyoshare iPhone Data Recovery for Windows (or for Mac) is exactly the right one. 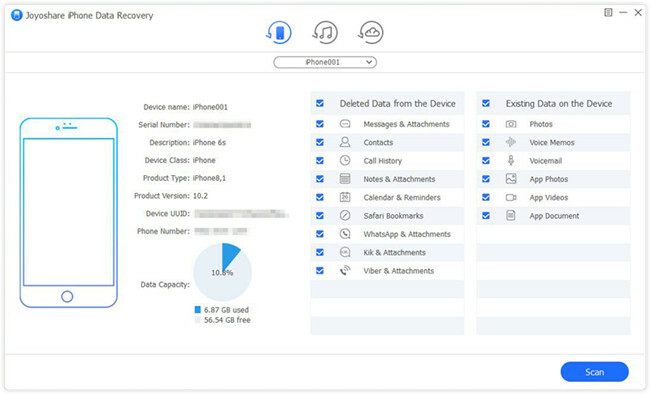 Besides lost MMS, it can also recover other lost iPhone data files such as contacts, photos, videos, reminders, notes, Safari bookmarks, WhatsApp/Kik/Viber messages and attachments, etc. with real-time preview function provided. Irrespective of the reasons that causes data loss, Joyoshare can get deleted or lost MMS back from iPhone directly, iTunes backup or iCloud backup in a high success rate. 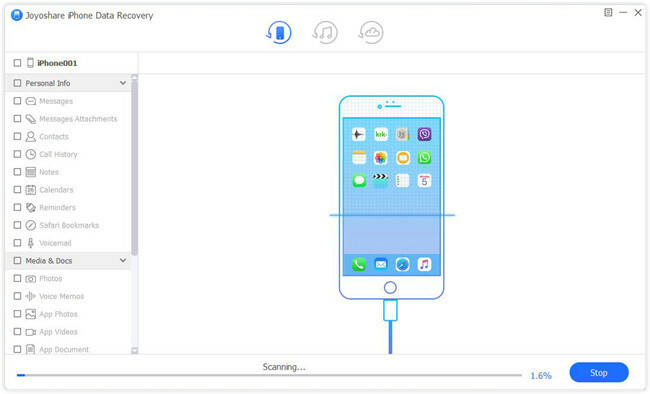 One of the outstanding features of Joyoshare iPhone Data Recovery is that the program performs well in the scanning and recovery speed, owing to its adoption of advanced technologies. Besides, it's compatible with all iOS devices, versions, as well as Windows and Mac operating systems. 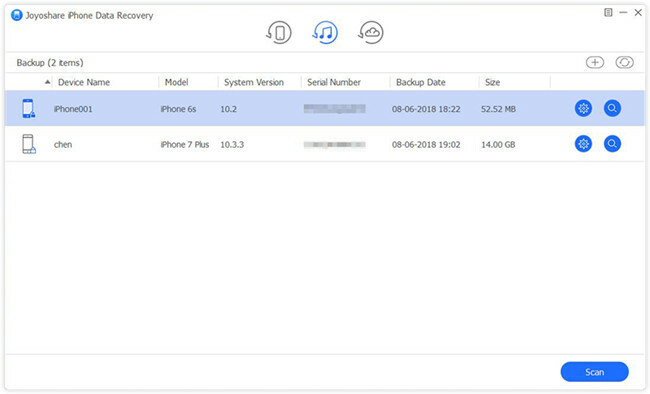 As we said above, Joyoshare iPhone Data Recovery support 3 recovery modes, namely, Recovery from iDevice, Recover from iTunes, Recover from iCloud. So you have got three possible solutions to bring deleted or lost MMS back. As for which mode to choose, it mainly depends on whether you have an iPhone backup or not, as well as the data loss scenarios. 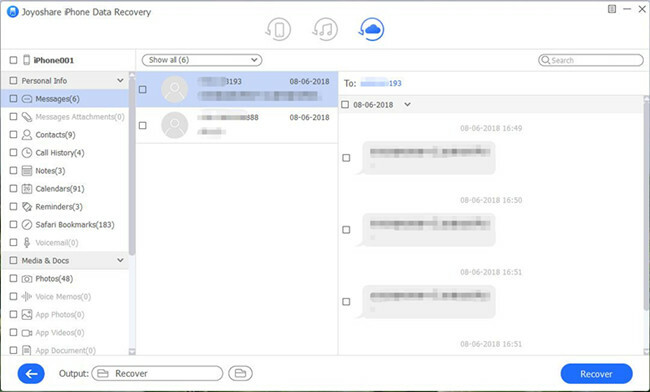 If you didn't have any iTunes or iCloud backup files and your iPhone can be normally used, you can try Joyoshare iPhone Data Recovery to retrieve deleted MMS from iPhone directly in the cause of accidental deletion, broken screen, etc. Use a USB cable to connect your device to the PC or Mac. Then open Joyoshare iPhone Data Recovery program on the desktop after downloaded and installed it on the computer. 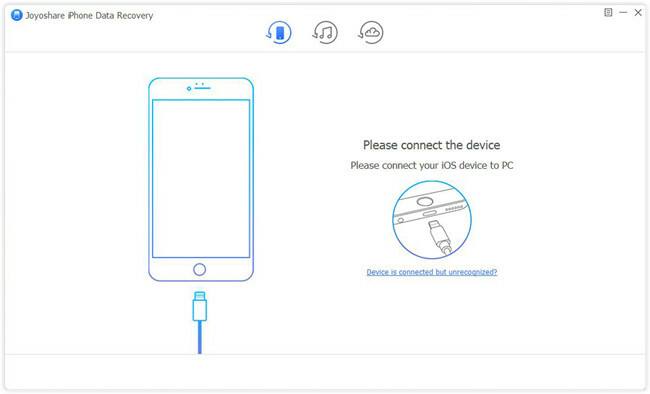 After Joyoshare successfully recognized your device, it will enter the "Recover from iDevice" by default. On the right side of the interface, you can tick the data types you'd like to recover, such as "Messages & Attachments", etc., or keep them all ticked as default. Then press the "Scan" button to let Joyoshare start to analyze and scan your lost MMS from iPhone. Be patient to wait until the whole scanning process ends. Now you can see all recoverable files are classified in types. Preview them one by one and mark the important ones you need. Next click the "Recover" button to export and save them to the local folder of your computer. If you have lost iPhone MMS due to factory reset, device damage or even your iPhone is lost or stolen, and fortunately you have ever backed up data to iTunes before losing it. You can follow the simple guide below to see how to recover deleted MMS from iTunes backup file. Run Joyoshare iPhone Data Recovery first and choose the second recovery mode - "Recover from iTunes" from the top menu bar. Now all your iTunes backup files will be detected and listed here, with device model, backup date, size and other info displayed. Choose the one that may contain your lost MMS and then press the Gear icon to confirm data types for recovery. 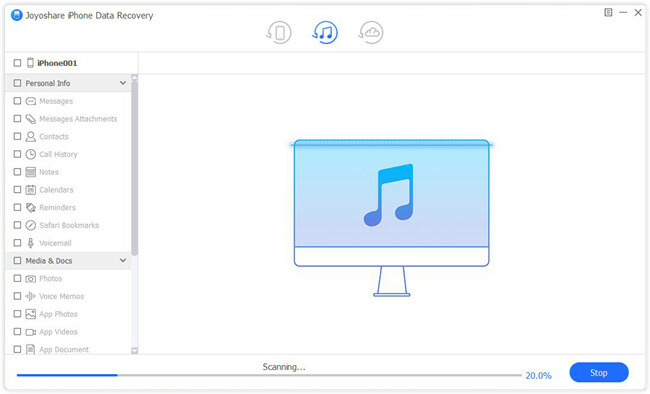 Next click the "Scan" button to analyze and extract data from iTunes backup. Once the scanning process is done, you can now start to preview and choose the most wanted lost data. Plus, you can quickly find the deleted files by filtering out "Only show the deleted" option. Afterwards, press the "Recover" button to output all selected items to your computer. 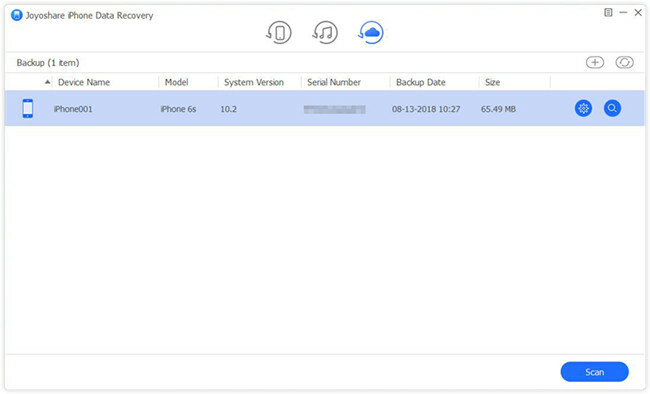 Alternatively, if you have turned on iCloud backup option on your iPhone and your MMS is lost because of virus attack, device damage, etc., you can still try Joyoshare iPhone Data Recovery to retrieve iPhone MMS from iCloud backup. 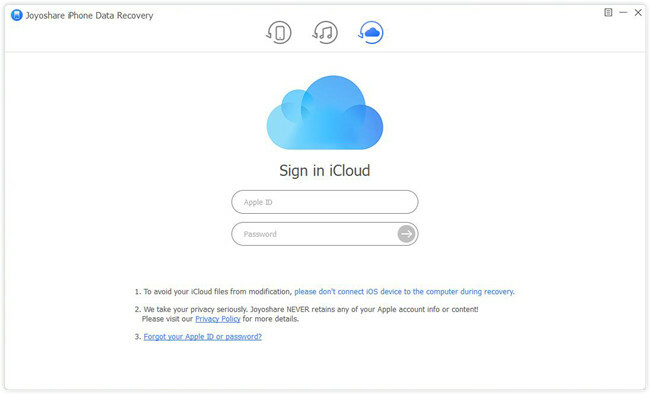 Launch Joyoshare program and switch to the recovery mode of "Recover from iCloud" this time. Now enter your username and password to sign in iCloud account as required. After access to iCloud, you'll see all your iCloud backup files be detected here. Pick the most relevant one and click the Download icon to start downloading. After download is finished, you can click the "Scan" button to analyze and scan all iPhone data types as default. You can also press the Gear icon to confirm specific ones before scan. A few minutes later, you can find all recoverable files displayed orderly on the sidebar. Next preview them and select the ones you desire. After that, hit the "Recover" button to save them onto computer locally.